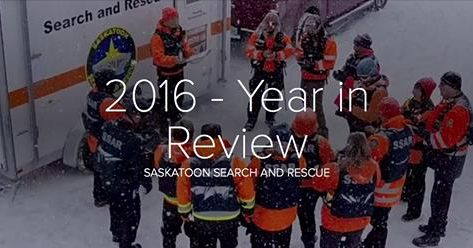 Our 2016 year in review article is spiced up a bit from previous years. Check it out here! Previous story I Found This For You In Orange . . .
Saskatoon Search and Rescue © 2019. All Rights Reserved.